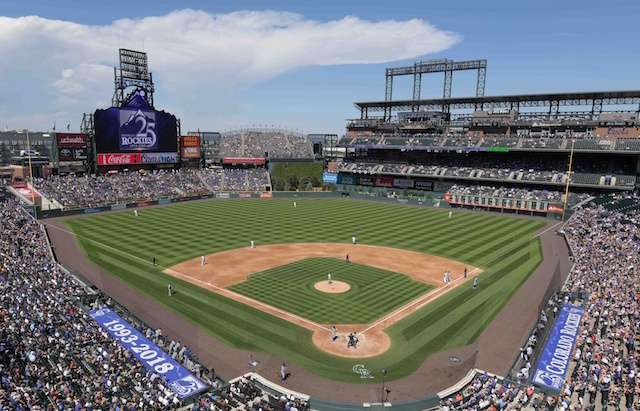 The Los Angeles Dodgers went 5-2 on their homestand to open the 2019 season and while they won series against the Arizona Diamondbacks and San Francisco Giants, it wasn’t without collective hiccups from their bullpen. Sporting a 6-2 lead in the ninth inning on Tuesday night, Yimi Garcia was tasked with recording the final three outs of the game. 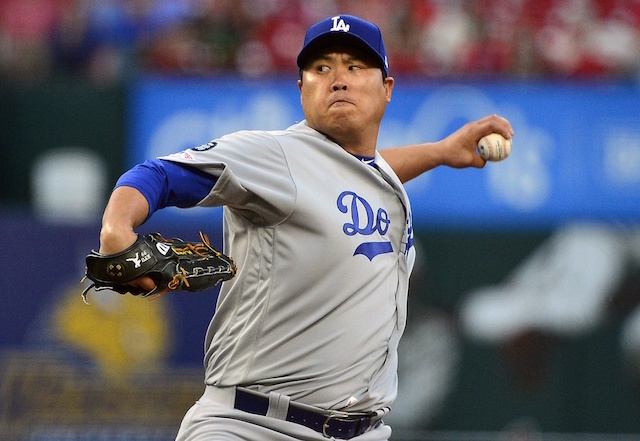 He struggled, however, yielding a double and walk to the only two batters he faced before being removed in favor of Dodgers closer Kenley Jansen. 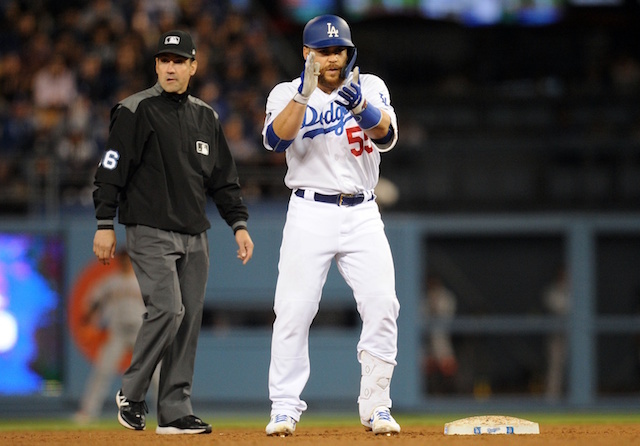 Jansen looked to defuse the situation, but a potential double play was botched by first baseman Max Muncy when he bobbled the ball as he went to throw to second base. With the bases loaded and still no outs, the all-time Dodgers saves leader then walked Yangervis Solarte to force a run across the plate. A Joe Panik strikeout was proceeded by a two-run single from Gerardo Parra that trimmed the club’s lead to 6-5, but Jansen would ultimately bounce back by inducing a game-ending double play that translated to a Dodgers win and his second save of the season. 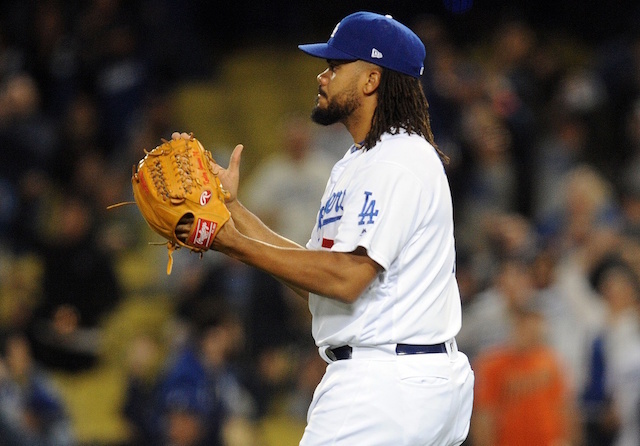 “[Five]-and-two,” Jansen emphasized when asked about the club’s bullpen. “That’s the way you look at it. We can’t question ourselves over what happened or this and that. For me and all the other guys, it’s a long season. Jansen also admitted that he was disappointed with his performance against the Giants, but reiterated that the Dodgers finding the win column is the most important takeaway from Tuesday’s contest. Jansen bounced back with a sharper performance the following night. The Dodgers’ bullpen has struggled mightily through the first seven games of the regular season, pitching to a 6.18 ERA in the early going. That’s in comparison to a solid 3.00 ERA by the starting staff, which has carried the load thus far despite Clayton Kershaw and Rich Hill beginning the year on the 10-day injured list.